And, your bayside Islamorada villa rental is fully equipped for stays of a week or more. 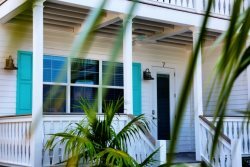 You won't want to leave this brand new 3 bedroom Islamorada vacation villa in the Art District. Everyone will enjoy the renowned restaurants, fine dining, sunset celebrations, entertainment, marinas and breathtaking sunsets.